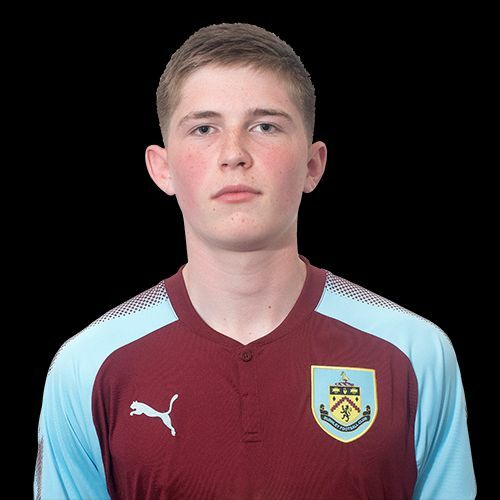 Having looked likely winners before starting defeat in the face, Burnley came back to earn a point in a 4-4 draw against Nottingham Forest this afternoon at a sun drenched Gawthorpe in the U18 Professional Development League. Just a week ago I watched two games over the weekend, the first in very low temperatures and the second in pouring rain. Today was different. It was almost spring like in temperatures with much of the game being played with the sun shining down on a game that was as good as any I’ve seen at this level all season. I arrived in good time and was greeted with a really nice surprise. 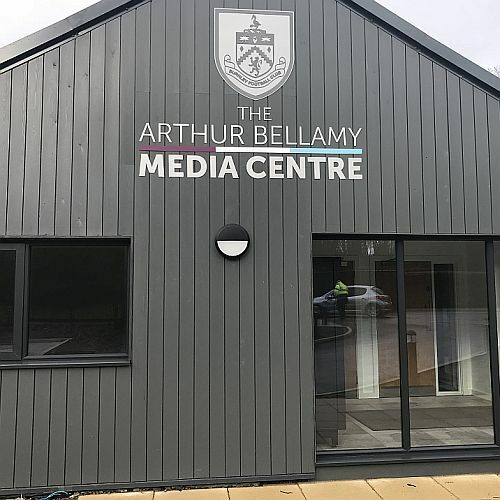 What I always refer to as Arthur’s bungalow, the former home of ex-Claret Arthur Bellamy is now the club’s media centre which houses all the non-match day press conferences. This morning, for the first time, I saw the new signage which reads THE ARTHUR BELLAMY MEDIA CENTRE. I reckon Arthur might have wondered what all the fuss was about but I’m sure his family are every bit as pleased as I am to see my old friend recognised in this way. Whoever it was at our club who came up with this one, a massive well done. None of today’s team are likely to remember Arthur but had he still been with us he’d have been on the touchline supporting the team along with everyone else keeping us amused with his wonderful sense of humour as well as giving us his opinion. He missed a treat today with eight goals as two of the best teams in the league went toe to toe (now, where have I heard that before?). After an excellent opening twenty minutes, during which both teams could have scored, it was Burnley who took the lead with the first of what were three outstanding goals from us. Sam Layton has been with us since the start of last (not this) season but has only recently been cleared to play. It was the first time I’ve seen him on the pitch and it was he who opened the scoring with an excellent strike from fully 25-yards. The lead didn’t last too long, five minutes to be exact. A ball in from the right seemed to deflect off a Burnley defender and dropped nicely for the Forest forward at the far post just a few feet out. There were to be two more goals in the first half, goals that sent us in to half time with a 3-1 lead and they were two more of real quality. James Clarke gave us the lead with my goal of the match. We won a corner on the right but it wasn’t a good one from Jordan Barnett and they half cleared. However, the ball found its way back to Barnett on the right and this time he volleyed an excellent cross into the box for Clarke who volleyed home with a sensational finish from around the penalty spot. Will Harris (pictured) decided he wasn’t going to miss out and two minutes from the break he fired another excellent shot into the bottom corner. Goal of the season? We’d now got a good competition for goal of the game. For much of the second half, which probably didn’t live up to the quality of the first half, we looked more than secure, but then a few minutes of mistakes from the referee were followed by a few poor minutes from us and from what looked like a winning lead, we were behind. The referee pulled back a Burnley attack for a foul when he really should have played an advantage. The whole crowd heard him apologise to our players. A couple of minutes later his assistant flagged for a foul to Burnley yet incredibly he gave it the other way. Eventually, he came over to the touchline, consulted with said assistant and changed his decision. His next mistake, in my view, couldn’t be rectified. I was some distance away but no one will ever convince me that he got it right in pointing to the penalty spot. He did and Forest pulled one back. We immediately withdrew Craig Ellison who had taken a battering from the Forest defenders only to find himself receiving a yellow card and I think that is perhaps why we took him off. But then it all went wrong. In the pace of two minutes, Forest equalised and then went in front. I think at that point you wouldn’t have seen us coming back, but we gave it a real go and we were behind for only three minutes when Harris scored his second as he headed home a corner. It could have gone either way with Forest probably coming the closest when they forced Adam Bruce into a stoppage time save, but the referee brought it to an end after four minutes of stoppage time with both teams earning a point from a 4-4 draw. The Burnley team was: Adam Bruce, Jordan Cropper, James Clarke, Scott Wilson, Matthew Rain, Jordan Barnett, Dan Moss (Kian Yari 89), Sam Layton, Ne’Jai Tucker (Dylon Meredith 70), Will Harris, Craig Ellison (Mitchell George 73). Subs not used: Harry Allen, Lewis King.